Project Goal(s): Students will understand the process of a Theatrical Costume Designer from concept, construction, design & opening night of show. The class had 10 two hour mentoring sessions with a costume design teaching artist from the education department at Roundabout Theatre Company, one pre-show workshop and tickets to see Into the Woods at Roundabout. During the mentoring sessions the students analyzed the script and realized the design of Into the Woods through concept boards and creative collaboration. The final product was the original costume designs for the characters of the play with fabric swatches. ETA funds were used for artist in residence fees and planning time as well as show tickets. "The students were able to understand the role of a costume designer working on Broadway and Off-Broadway. The students designed a musical and were able to go through the process that a professional costume designer goes through. Swatching at fabric stores, Meetings with Design / Director team, Script analysis, visit to costume shop (Eric Winterling Studio). This all culminated with actually seeing the show that the students designed with a Q&A from the actual costume designer. 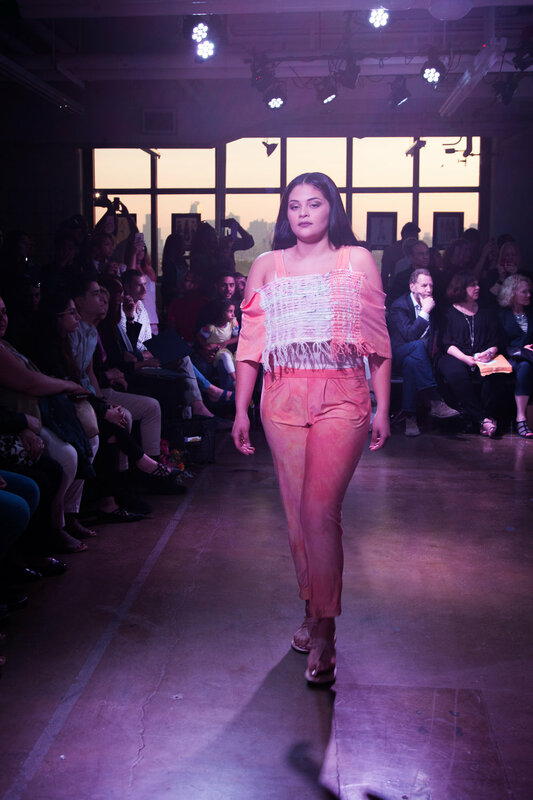 "The students were able to experience the variety of careers in the apparel industry outside of fashion."